As the end of the school year approaches, so do some wonderful summer ministry opportunities at CapitalDistrict Youth for Christ. Summer is always a great time to build relationships with kids as we have more time with them. This summer Capital District Youth for Christ staff and volunteers will be spending time with kids with the purpose of sharing the Gospel through authentic relationships. 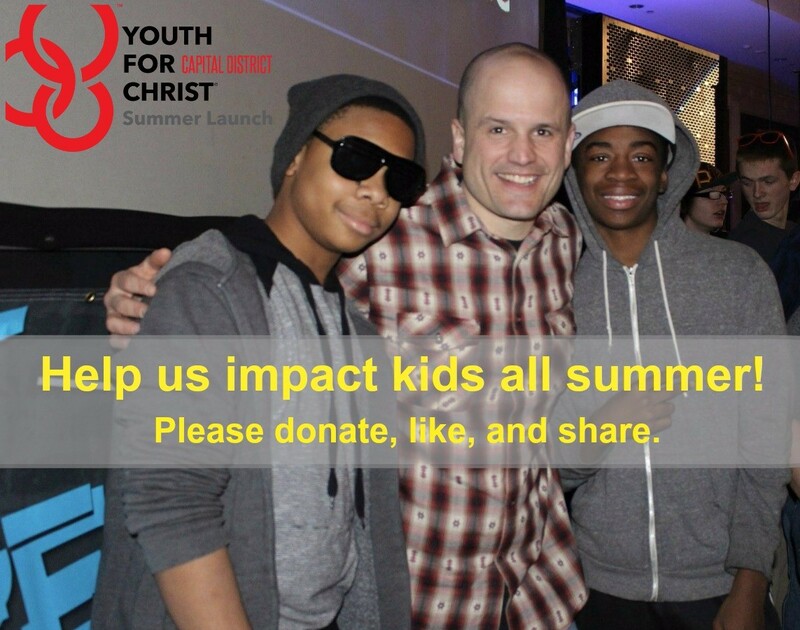 Our summer will be packed with trips and events all designed with the purpose of reaching kids. Some of our summer events include, week long day camps at our adventure center, a high school trip to Wild Wood, New Jersey, a week long middle school camp in New Hampshire, outdoor adventure trips and so much more. Through these experiences we will be sharing with kids the life changing hope of Jesus Christ. As this summer approaches we at CDYFC are beginning a campaign to help us raise the money needed to do these summer activities to impact kids. This will help cover the cost of programing, staffing and scholarships for all of our summer activities and events.